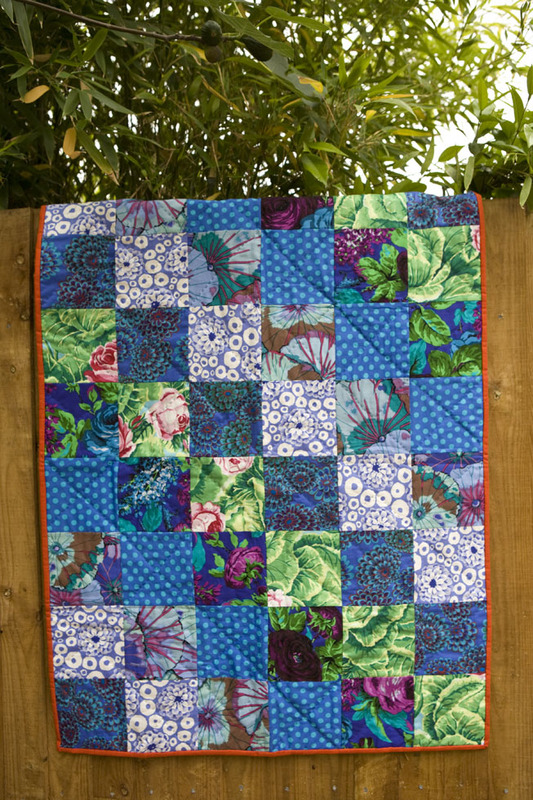 The second quilt I made was basically the same in terms of design as No.1 but I used instead blues and increased contrast by adding green and white. I made this for my friend Angela's first born Lucas and it made me feel really good to able give her something handmade. 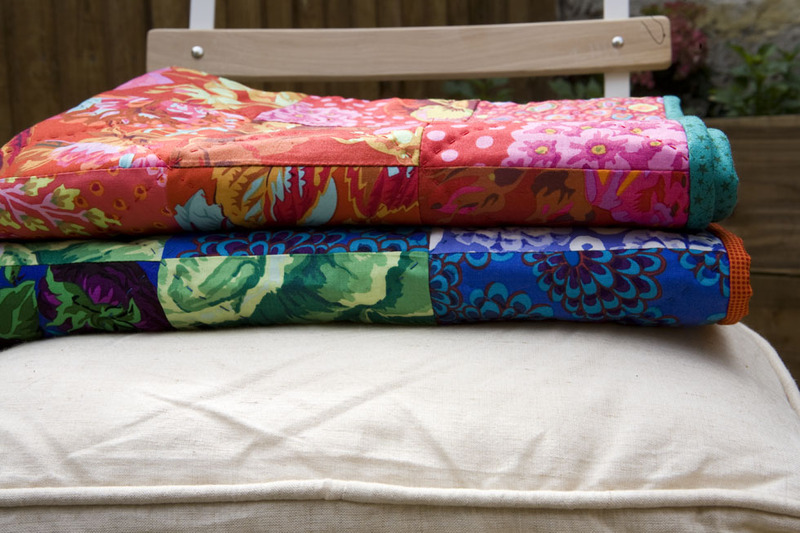 I used again Kaffe Fassett and Philip Jacobs fabrics with my favourite PJ fabric being Lilac Rose. 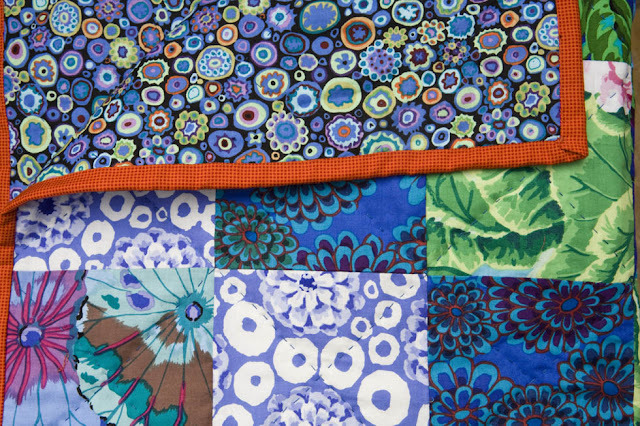 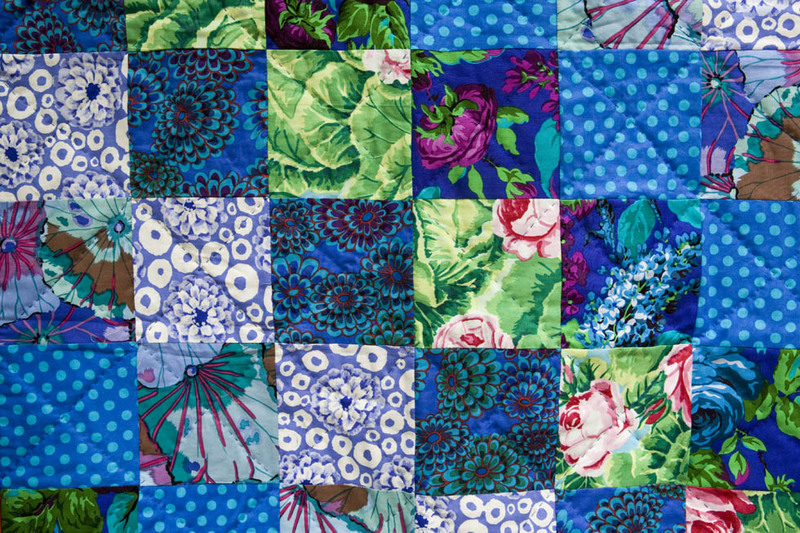 I was surprised how well the bright green of the KF cabbage fabric worked with the blues. 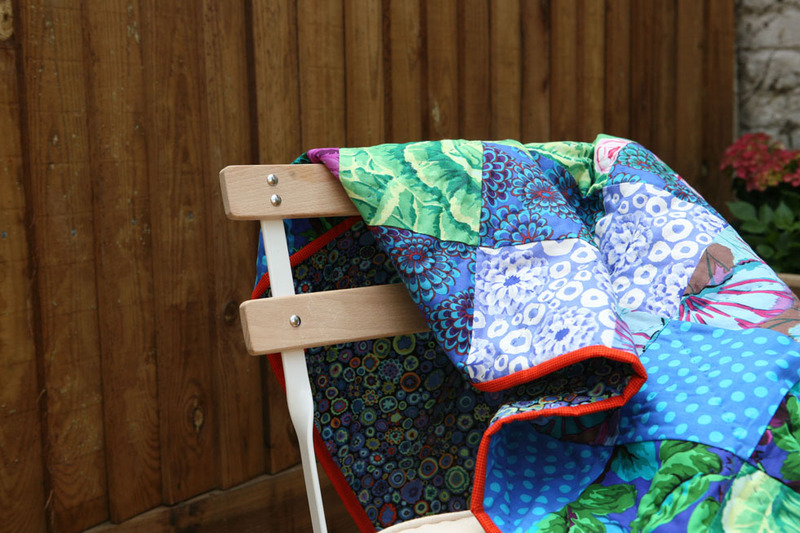 The binding in a dark tangerine frames the quilt nicely I believe.